Cute - goes well with the lakehouse theme I'm using to decorate our guest suite. 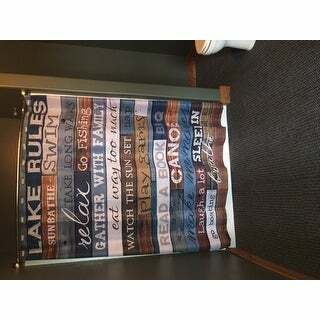 Share the house rules with this shower curtain. 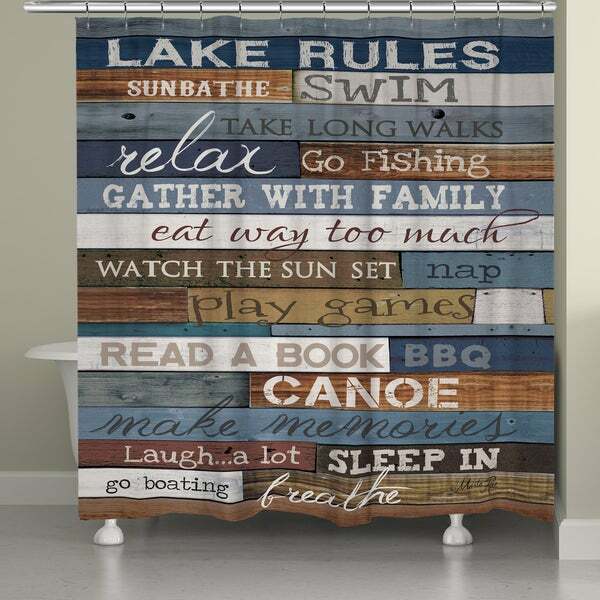 This machine-washable, polyester shower curtain hangs on your own hooks and features a list of heartwarming rules to inspire you to find joy in each day. This shower curtain is so cute! The fabric is high quality. The colors are true. It's even better than I had expected. I absolutely LOVE this shower curtain. We live on the lake in Arkansas and it goes perfect in our downstairs bath. Here's a photo taken before decorating. I've not updated photos on my phone yet. Beautiful shower curtain. Purchased as a gift for a friend that lives on the lake and she could not be happier with it. It looks beautiful in her home.